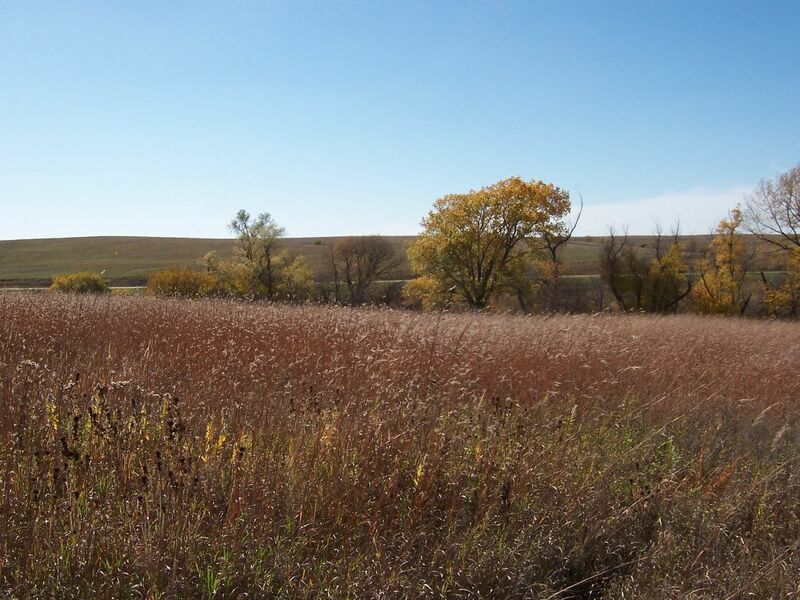 From the endemic prairie birds of the Sandhills, to the songbirds and raptors of Pine Ridge country, to the migrating waterfowl and shorebirds of the Niobrara and Platte river valleys, Nebraska’s avian diversity is enough to delight birders of all feathers. The long-billed curlew in the poster is one of the continent’s largest shorebirds. The grassland bird spends its summers in the western Great Plains and winters in Mexico. The white-faced ibises flying over are the most common ibis found in the Great Plains. 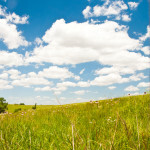 For being land-locked, the Great Plains is full of water birds like loons, rails, grebes, terns, and many more types. 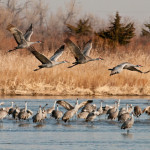 At least 90 species of water birds have been found in the Great Plains. 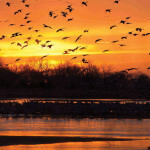 The meandering waterways and marshes of the Plains make for good birdwatching in every state. 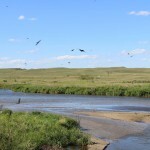 The shallow playa wetlands of the Rainwater Basin in south central Nebraska attract millions of migratory birds each year — a birder’s dream come true. 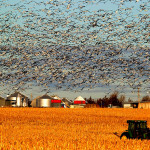 The 160-mile-wide region lies at the narrowest portion of the Central Flyway migration route, making it a gathering place for ducks, geese, and other water birds. 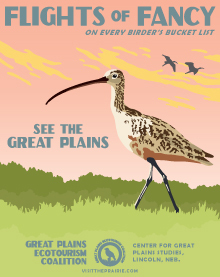 Designated a Landscape of Hemispheric Importance for shorebirds, it’s possible to see over 40 species, including the Long-Billed Curlew (featured on the GPEC’s poster). The Rainwater Basin doesn’t have a visitor center, or a centralized location. 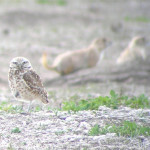 Instead, visitors can download a Bird List and a Driving Tour Map to explore the area independently. 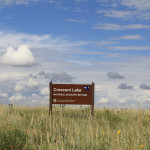 A well-kept secret in the Nebraska panhandle, the Crescent Lake National Wildlife Refuge consists of 45,818 acres of rolling sandhills, twenty-one lakes and numerous ponds resulting from the underground aquifer. According to the Fish and Wildlife Service, which manages the Refuge, as many as 20 bald eagles and over 200,000 waterfowl may concentrate in the area during fall migration. Over 275 bird species have been observed on the Refuge since 1975, including a wide variety of migrating shorebirds and passerines. In the summer months breeding ducks and geese populate the lakes, while Red-tailed hawks and Northern Harriers search the meadows for prey. The Refuge has a Bird List and a Calendar of Natural Events — great tools to help you plan your visit. 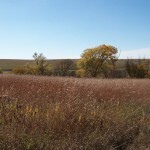 Nebraska Birding Trails is the ultimate online bird-watching guide to Nebraska. Extensively researched, the site describes 400 public-access birding sites. Visitors can search by geographic region, ecological region or by communities that surround the site. Great descriptions, regional bird checklists, and trails that connect various birding sites make exploring easy. 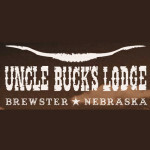 The Crane Trust is a non-profit organization dedicated to the protection and maintenance of critical habitat for whooping cranes, sandhills cranes and other migratory birds along the Big Bend Region of the Platte River Valley. 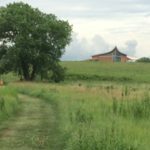 The Trust operates the Nebraska Nature & Visitor Center, providing a regional gateway for community outreach and education. During crane season they offer visitors several different guided tours and access to private photo and viewing blinds along the river. 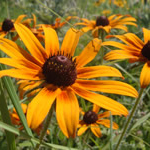 More than a dozen gardens are underway along the Loup Rivers Scenic Byway, a mosaic of visually appealing, biodiverse habitats, carefully-planned to benefit the pollinators that benefit us in so many ways. 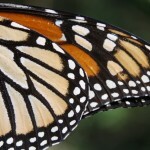 Individuals and towns are in the process of certifying their gardens with the North American Butterfly Association and the Butterfly Byway will be launched for the public in Spring 2015. 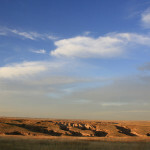 Check the Loup Rivers Scenic Byway website for a map and guide or call the Loup Basin Resource Conservation & Development office at (308) 346-3393. 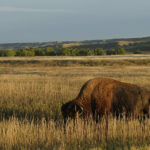 While visiting the lodge, experience the diverse ecosystem of the Sandhills grasslands, which supports a distinct population of plants and animals. Fields are filled with grasses and wildflowers, cacti and other desert plants, and lush marshes that buzz with birds, mammals, reptiles, amphibians and insects. Researchers have counted 134 different vertebrate species associated with a community of prairie dogs alone. 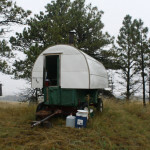 Tours also include visits to historic sites, such as an authentic sod house, and how to prepare meals from plants gathered from the grasslands. 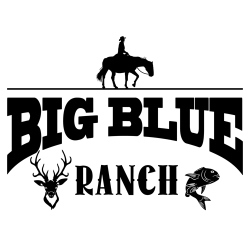 Steve Hanson and his family run Niobrara Riverview Retreats, a business that transforms their love for the outdoors into an experience to share with visitors. A former fisheries biologist in Alaska, Steve is an expert naturalist who can explain in detail the botany, geology, biology and ecology of his surroundings. 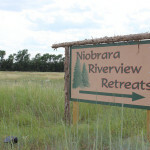 Niobrara Riverview Retreats borders two miles of the Niobrara River. It includes hiking trails and a 25-acre marsh, appropriate for canoeing and catch and release fishing. The Valentine National Wildlife Refuge is only 15 miles away, a stunning landscape of over 30 sandhills lakes spread out across 70,000+ acres with 260 identified bird species spotted. The ranch is just miles from Ft. Valentine National Wildlife Refuge. 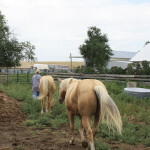 Activities include tubing, canoeing, guided nature walks, orienteering, overnight stabling and horseback riding.